How to attract, attain, increase, and keep money. and enrichment to life itself. affliction to abundance, lack to luxury, worthless to wealthy, and fear to fortune. to support your wealth and abundance goals. 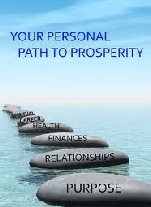 It focuses on the universal natural laws of compensation and abundance. There is so much emotion attached to money that you may not realize how your emotional thoughts affect your decisions about money, and your ability to manifest abundance. and open your creativity to personal prosperity. self-care for greater wealth and success. It focuses on money management skills of your financial portfolio. and the importance of all three. and your sense of empowerment. and capital in this new era is not material things.